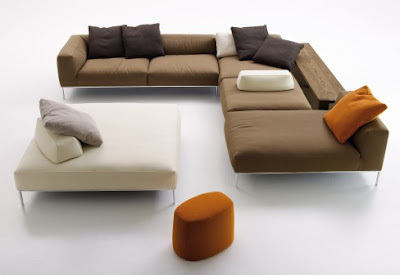 The "Frank" modular sofa sectional from designer Antonio Citterio is geared for down right lounging, while movable pillows and backrests combined with extra deep seats allows any size sitter to get comfortable. The Frank sofa is available in armless and backless pieces shown here in yellow that allow you to make a "floating island" of seating which can be used as an extra bed if needed when the day is done. 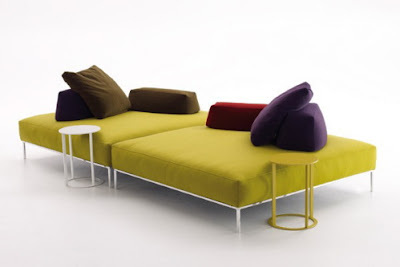 Expect to pay top dollar for the best furniture and design Italy has to offer, the yellow set up runs around $17,000 US. See the entire collection of uniquely modern furniture from B&B Italia here.